The Last Story might be released outside of Japan after all. 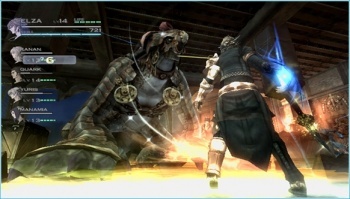 Hironobu Sakaguchi's latest project at Mistwalker is a Wii RPG called The Last Story. It looks great, and the Wii could definitely use another RPG in its library, but Nintendo recently said it had no plans to release the game outside of Japan. However, a domain registration may point toward the possibility anyway. Gaming France noticed that Nintendo of America registered "TheLastStory.com" in early 2010. Visiting the address redirects to the Nintendo website. Does this mean The Last Story is confirmed for North America or perhaps Europe? Sadly, no. Nintendo has registered domains for Japanese titles in the past that didn't lead to anything. In this case, the same situation is possible, but unlikely. Nintendo needs titles for the Wii in 2011, with just Legend of Zelda: Skyward Sword and another Kirby known to be on the way. An RPG from the creator of Final Fantasy would be a nice addition to the two titles. Impressively, Last Story not only looks good but received a 38/40 review score (10/10/9/9) from Japanese magazine Famitsu, so it's been well received in its Japanese release. Localization takes time, but hopefully the process is underway and we'll hear more in the coming months.